Chez la Mer Backpackers — is a lovely small hostel located in the beautiful seaside town of Akaroa, 1.5 hours from Christchurch. Owned by the same owners of the FOX II. Akaroa is full of beautiful B&Bs and Motels. Find out more information about Akaroa online at www.akaroa.com and click on accomodation. Akaroa is the food capital of the South Island with more restaurants per capita then anywhere else in New Zealand. There is a variety of restaurants. Visit www.akaroa.com and click on “dining”. 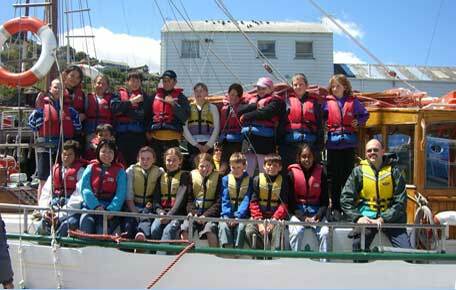 The Fox II operates for three months out of the year (Oct.- Dec.) in Lyttelton for the CanSail Charitable Trust. 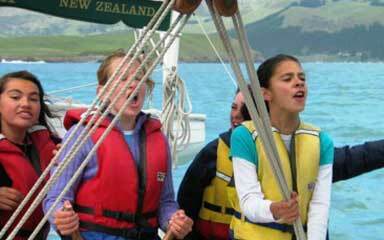 Teaching young children aged 7-15 the basics of sailing. It takes out approximately 1,500 Kiwi children per year (about 60 trips) from all different schools and organizations throughout Canterbury. The CanSail Charitable Trust was registered and established in February 1996 by a group of Christchurch business people who recognised the changing face of society and have provided more than15,000 young people with sailing experience that has reinforced team work and community pride. The programme is funded through the generous donations from corporate and community grants. Volunteers give their time and expertise to provide a unique opportunity through fostering the culture of yachting. 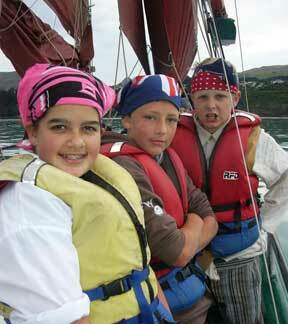 Jack Tar Sailing Co — Jack Tar Sailing, ideal for smaller charters in Lyttelton. They offer a variety of chartered sailing trips in and around Lyttelton Harbour, one of two major harbours on Banks Peninsula, New Zealand.